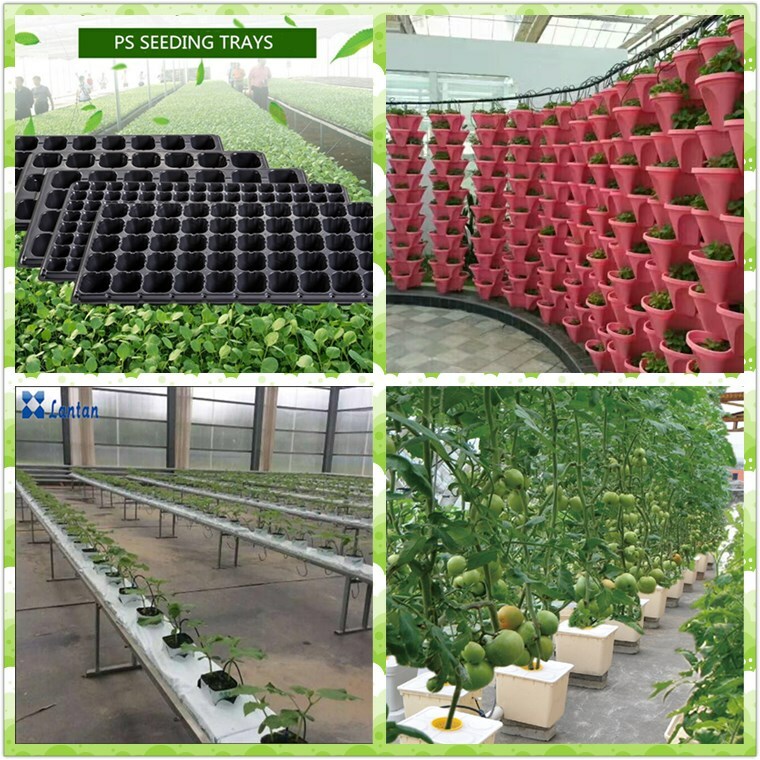 Adjustable, Anti-Abrasion, Anti-Corrosion, Anti-UV, Flexible, Soft, Odorless and environmental, Light weight, soft and flexible. 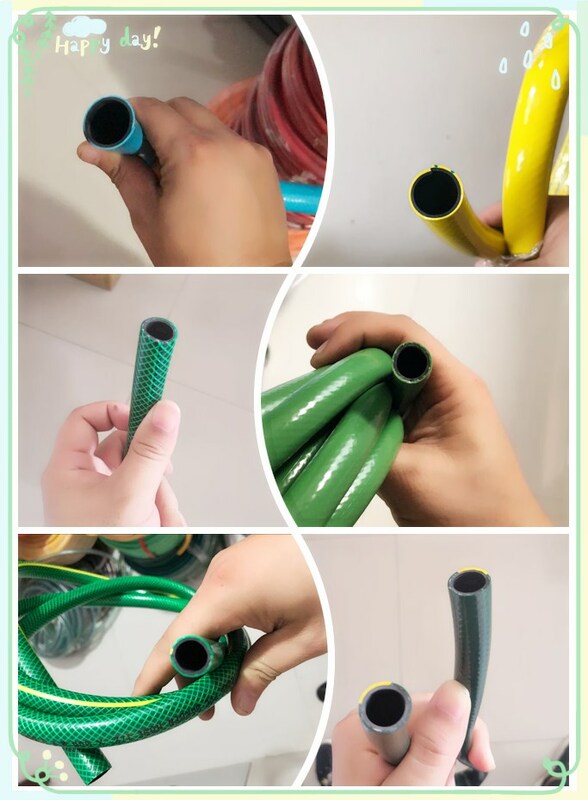 Clean smooth hose( Produce many colors). 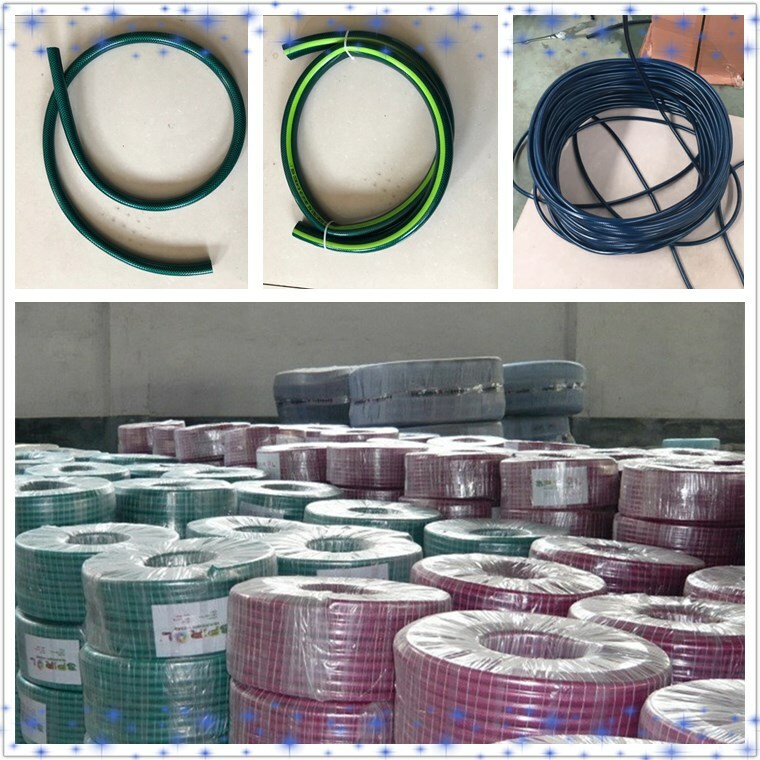 1, Plastic film + Bandage Roll packing. 2, Roll packing with color card paper, Carton packing. 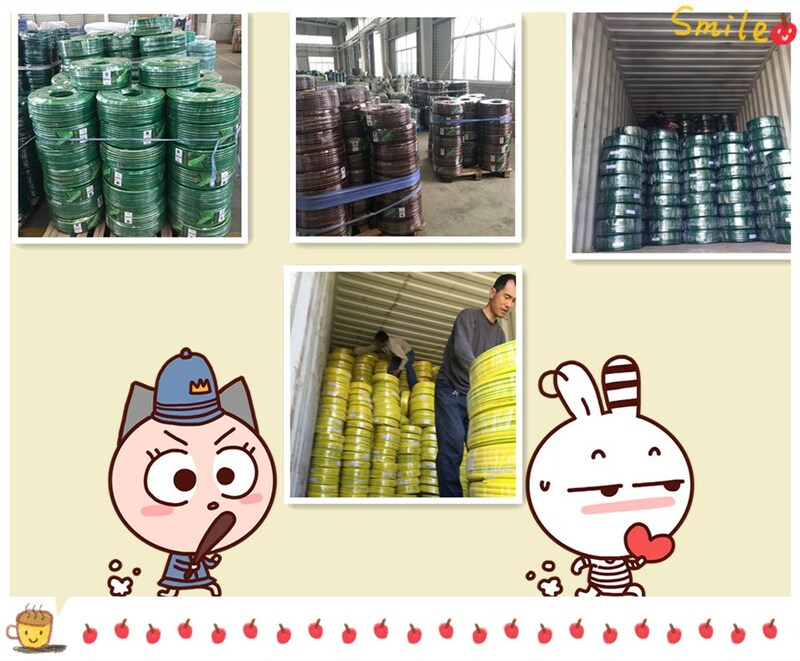 Normal packing( Standard exporting package), As per customer's request. 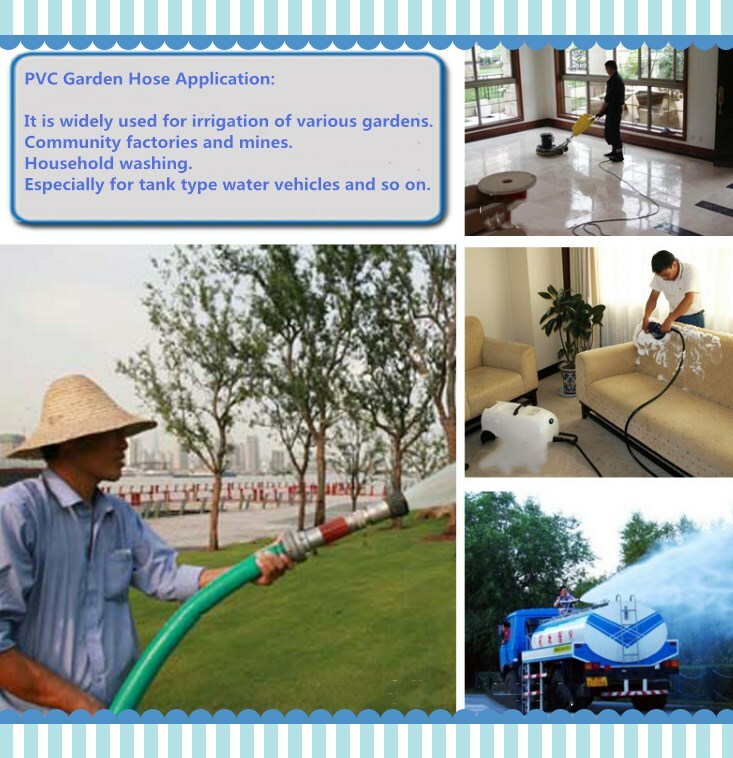 Product name: PVC garden hose. 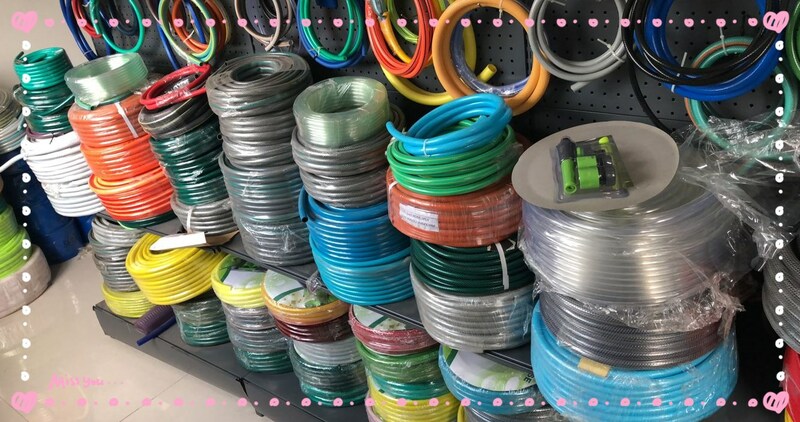 Appearance&Color: Clean smooth hose ( Can supply many colors). 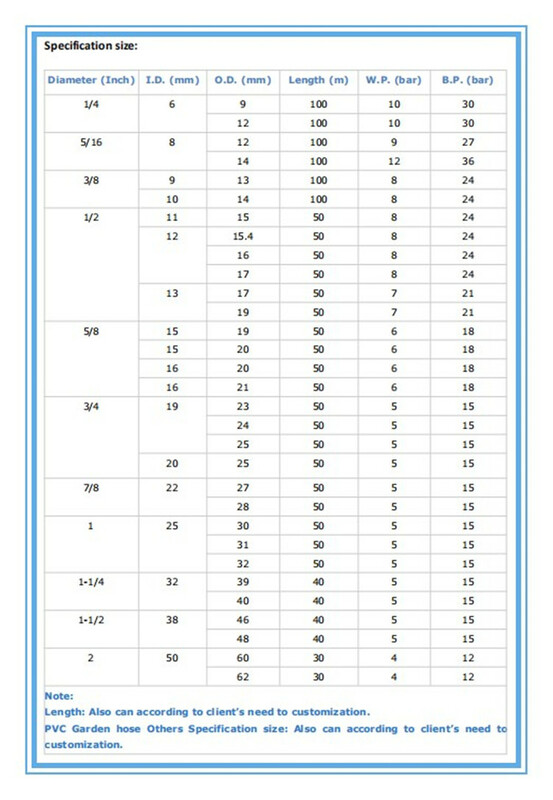 Working pressure: 5-8 Bar, Burst Pressure: 15-24 Bar. 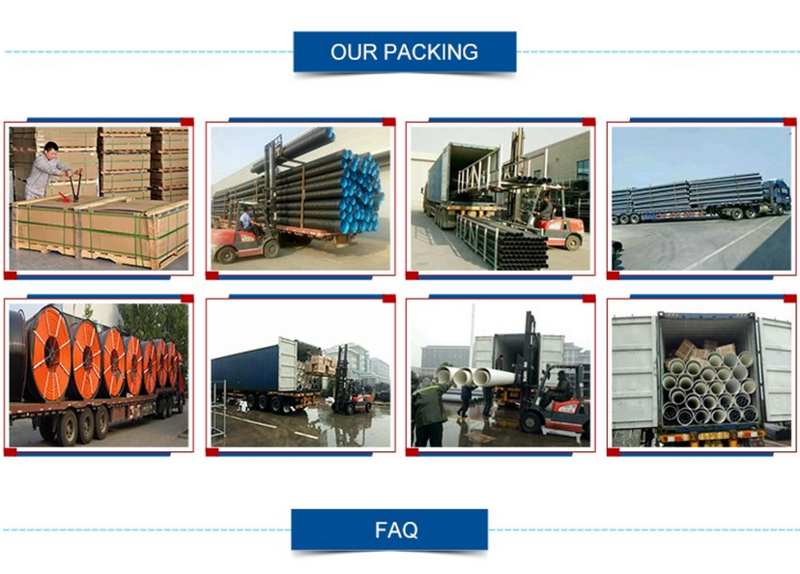 Packing: Plastic film + bandage packing, Roll packing, Export Standard packing. 2. 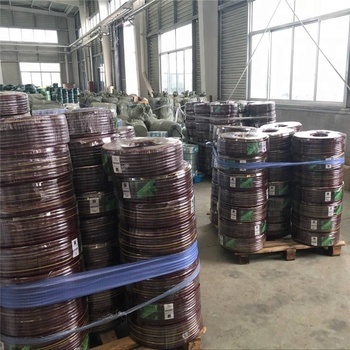 Light weight, soft and flexible. 3. 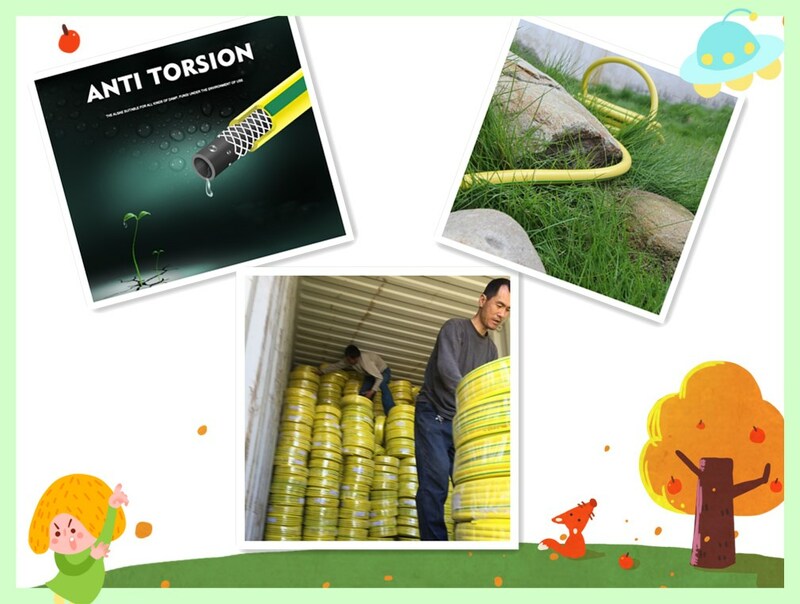 Resistant to abrasion, high pressure and bad weather. 4. 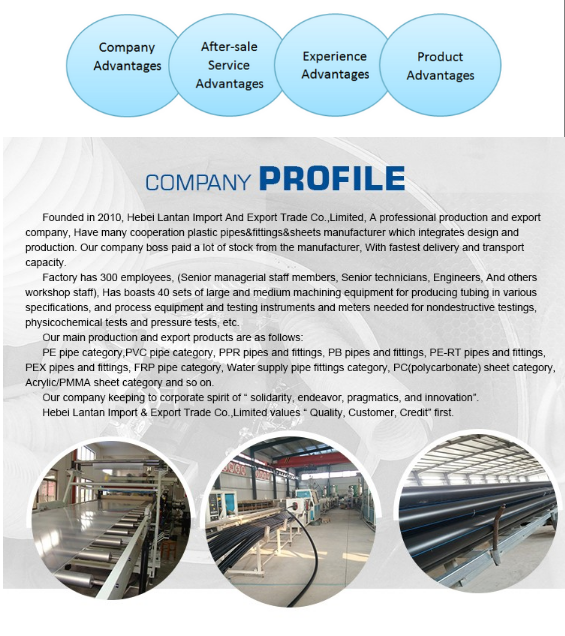 Long lasting service life. (Working Temperature: -5°C to +65°C). ( SINCERE BUYER AND FRIEND, PLEASE CHOOSE ABOVE SPECIFICATION SIZE, KEEP IN TOUCH AND TALK ABOUT IT CAREFULLY) !! !